The sciatic nerve is the strongest and longest of the peripheral nerves of the body. It primarily provides motor supply (signal) to the hamstrings, lower leg and foot muscles and sensory supply to the posterior (back of the leg), most of the front of the leg and lower legs and foot. The sciatic nerve branches into two independent nerves just above the knee called the tibial and peroneal nerves. 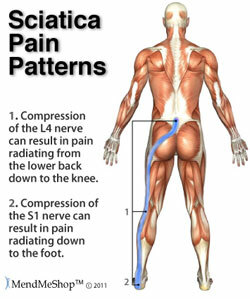 Sciatica tends to affect only one side of the body and due to its location, can often be mis-diagnosed as Piriformis Syndrome which is similar in pain involvement. However there are orthopedic tests that can differentiate the two conditions. Sciatica can be a very severe and debilitating condition, often affecting everything one does from sitting, standing, walking, sleeping, and seemingly cannot get comfortable no matter the position. 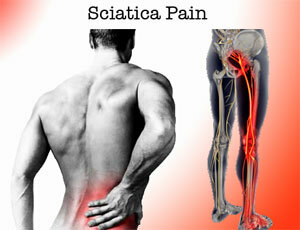 If you have any questions about Sciatica, contact our staff at Dynamic Physiotherapy.